The up & up Diapers Giant Pack with their Cotton Enhanced dryness layer make the process easier and more comfortable for you and your little one. 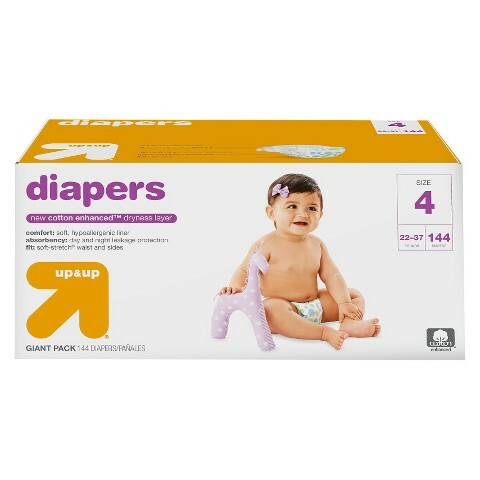 Designed for a baby's sensitive skin, up & up diapers are soft inside and out and will wrap your baby in comfort, plus keep them dry. They feature a hypoallergenic inner liner and our Soft-Stretch waist and sides that will move with your little one as they start to explore. This stretch system coupled with our liquid resistent dual leg cuffs provide a great fit that will help prevent leaks.